Over the first four months of 2012, this web moviegoers have been offered a few great films and a bunch of mediocre offerings. But now, the season of summer blockbusters is set to begin with the highly-anticipated release of The Avengers. Featuring a team of superhero superstars including Iron Man, Thor and Captain America, this film is already breaking box office records. But The Avengers isn’t the only movie to look forward to this month. May 2012 will feature the release of the long-awaited Men in Black III and the international blockbuster Battleship makes its debut in the United States (it’s already opened overseas). As we’ve done before, here’s a list of films that we at Screen Rant are looking forward to this month. We’ve settled on 7 films – and this time we’re counting down the movies, ranking them from least to most most-anticipated movie of the month. 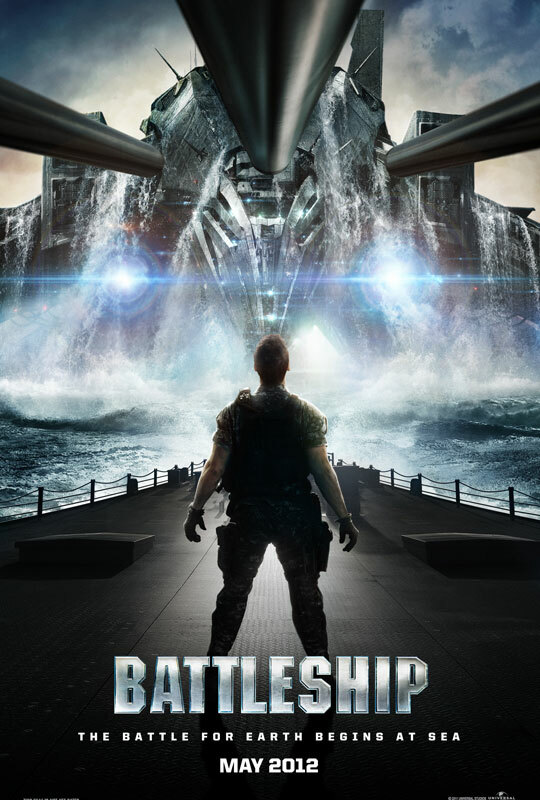 Based on the simplistic board game, Battleship seems to be copying the formula that made the Transformers films such huge hits. It may have been inspired by a classic game, but this story follows its own path – featuring alien monsters facing off against the Navy. The trailers (and early reviews) haven’t inspired much confidence, but the film has been doing great business overseas and has a strong cast and crew. Director Peter Berg previously served as the executive producer of the television drama Friday Night Lights and directed the movie of the same name. Battleship reunites Berg with FNL stars Taylor Kitsch and Jesse Plemons and also features Liam Neeson in a starring role. This film has the potential to be a big hit or a terrible disappointment at the (U.S.) box office. Either way, we’re watching to see how it turns out. Brought to you by the director of Paranormal Activity, Chernobyl Diaries features a little-known cast in what looks to be an intriguing story. 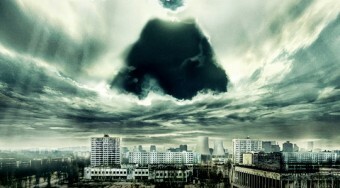 The film’s trailer shows a group of naive 20-somethings visiting the desolate area where the Chernobyl nuclear disaster took place, but their silly foray is interrupted when they are attacked by a group of psychotic locals. The cast is composed of actors with limited experience on the big screen. The film’s biggest draw may be pop star Jesse McCartney, who has acted on shows like Summerland and CSI: Crime Scene Investigation. Oren Peli, who previously wrote and directed Paranormal Activity, wrote the screenplay for this new thriller, so he knows how to spin an interesting tale with limited financial resources and an unknown cast . Sacha Baron Cohen has great comedic talent, but an uneven track record at the box office. Borat: Cultural Learnings of America for Make Benefit Glorious Nation of Kazakhstan was a huge hit – but Brüno only made half as much. So the question remains: will The Dictator replicate the success of the former or the limitations of the latter? Cohen has proven that he can attract attention to his new projects (see his controversial moment spilling ashes on Ryan Seacrest on the Oscar red carpet this year for evidence of that) but a publicity stunt alone will not make this a success story. Cohen has to earn laughs at the theater to gain the support (and $$) of the audience. Based on a 196os television drama, Dark Shadows looks like it could be a clever comedy. The story was written by John August and Seth Grahame-Smith – the latter of whom also wrote the novels Abraham Lincoln: Vampire Hunter and Pride and Prejudice and Zombies. The young novelist seems like a strong choice for this material, and Johnny Depp (who has played many quirky and unforgettable characters before) seems like the perfect choice for the lead. He is joined in the cast by Eva Green, Michelle Pfeiffer and Helena Bonham Carter. The film reunites Depp with his frequent collaborator Tim Burton, so this has a lot of potential. One just hopes that this unique story is as much fun as it looks. Featuring lesser-known actors like Joel Murray and Tara Lynn Barr, God Bless America promises to be one of the most violent movies of the year. The story revolves around two loners who go on a killing spree together to murder people they find annoying. It’s a sadistic concept, but the film was written and directed by comedian Bobcat Goldthwait (World’s Greatest Dad), so this could actually turn out to be a fun black comedy that criticizes some of the sillier aspects of popular culture. Could this movie be terrible? Yes. But does it have the potential to catch on and find an audience for a quirky blend of comedy and violence? Absolutely. Let’s face it: Men in Black 2 was a disappointing sequel to the 1997 original. Now, 10 years after the sequel, it’s time for Men in Black III – which marks the return of the secretive crew of agents who work behind the scenes to manage and eliminate extraterrestrial threats. 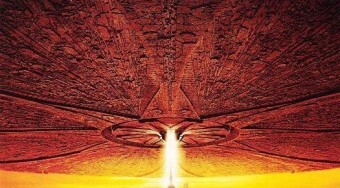 Will Smith and Tommy Lee Jones starred in the original two films and both return for this sequel. But this time, a new addition has joined the team as a prominent player: Josh Brolin plays a younger version of Jones’ character, Agent K. A bit of fresh blood is definitely what this series needs, so let’s hope that this film recaptures all of the fun that made the original such a huge hit. This is the big one. Not only is The Avengers the most-anticipated film of May for us here at Screen Rant, it’s also one of the most highly-anticipated films of the year. Featuring a thrilling team of superheroes (many of whom have already starred in films of their own) this new movie brings together a superstar team of Marvel legends. 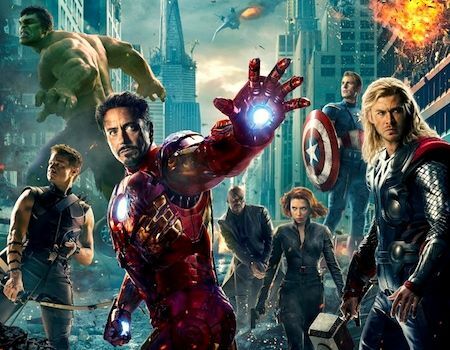 Directed by Buffy the Vampire Slayer and Firefly creator Joss Whedon, The Avengers features a popular cast: Robert Downey Jr., Chris Evans, Jeremy Renner, Chris Hemsworth, and Scarlett Johansson are only a few of the actors working together to bring this story to life. Will it live up to all of the hype and exceed the incredibly high expectations fans already have for it? We’ll find out on opening day. It’s time to assemble! It looks like May will be a blockbuster month at the box office. 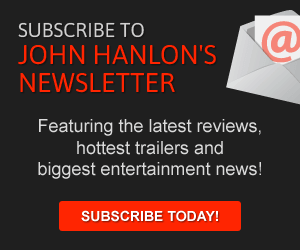 Could some of these big-budget films disappoint? Sure. But we’ll be along for the ride regardless. This piece as originally published on Screen Rant.